Provide comfort for the family of Toneka Terry with a meaningful gesture of sympathy. 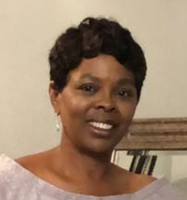 Toneka Cecile Walker Terry, 51 departed this life on Wednesday, January 23, 2019. Toneka was the devoted wife of Carl Joseph Terry, loving mother to Ambrea W. Perrilloux (Steven), Austin and Asasha Terry, and Angel Williams. The devoted daughter of Myrtle J. Walker and the late John Henry Walker. The daughter-in-law of Mr. and Mrs. Earl Joseph Terry. Toneka leaves to cherish her memories a host of aunts, uncles, cousins, and friends. Toneka was a 1985 graduate of West St. John High, and in 1990 she received her degree from Southern University of Baton Rouge. She furthered her education and received her master’s degree for The University of Phoenix in 2009. Faculty, staff, and students of St. John the Baptist Parish School System, United States Postal Service, the city of Oklahoma, State of Louisiana, and friends are invited to attend the services. There will be a visitation on Friday, February 1, 2019 from 6 to 8 pm at New Jerusalem Baptist Church at 152 E. Sixth Street, Edgard, La. A celebration of life service will be held on Saturday, February 2, 2019 at New Wine Christian Fellowship, 1919 West Airline Hwy., LaPlace, La. at 12:00 noon, visitation at 10:00 am until time of service. Rev. Maurice Tillman officiating. Rev. Neil Bernard pastor. Entombment St. John the Baptist Catholic Church Mausoleum 2349 La Hwy. 18 Edgard, La. Final care entrusted to Treasures of Life Funeral Services 315 E. Airline Hwy. Gramercy, La. 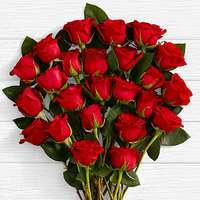 To send flowers in memory of Toneka Cecile Terry (Walker), please visit our Heartfelt Sympathies Store. We encourage you to share your most beloved memories of Toneka here, so that the family and other loved ones can always see it. You can upload cherished photographs, or share your favorite stories, and can even comment on those shared by others. Provide comfort for the family of Toneka Cecile Terry (Walker) by sending flowers. Deepest sympathy is extended to the Jasmine/Walker/Terry families. God has chosen her to be an angel. Remember the good times and prayers will change everything. God bless you. Thoughts from the Gross/Howard family of Hahnville and Marrero. Mrs. Walker, You have my heart felt sympathy. Carlatta Cole Jones Gonzales, LA.